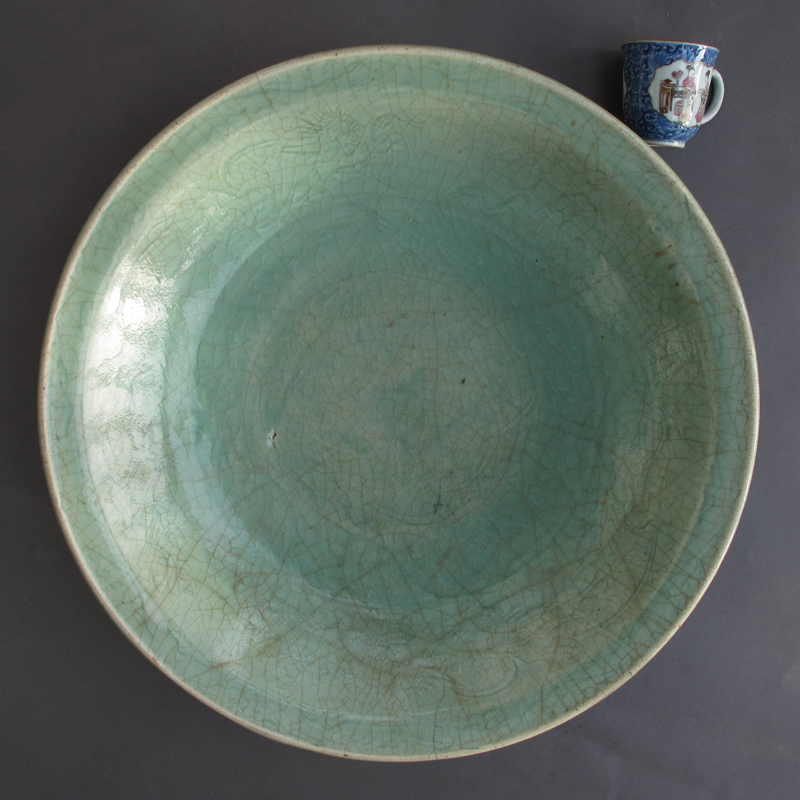 At 42 cm in diameter, this large Longquan celadon charger carries a striking presence. 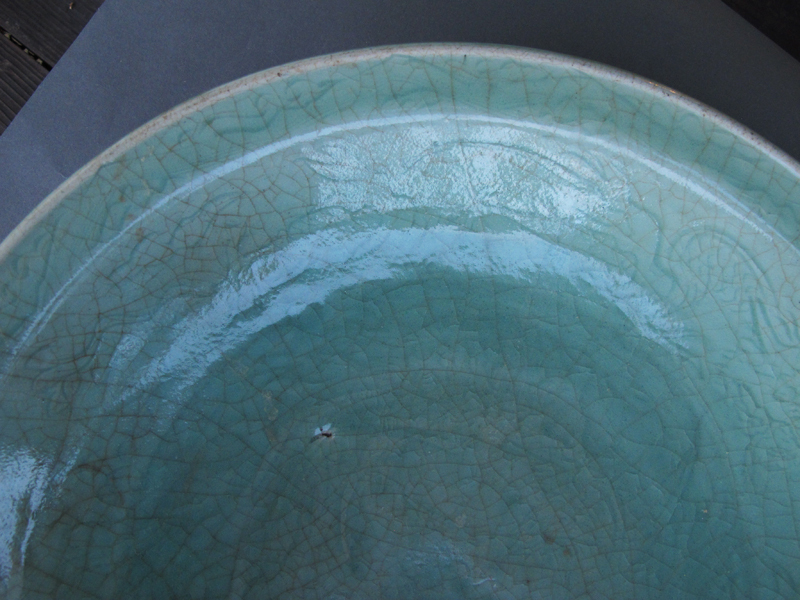 Its color is very difficult to photograph, as it has a varying depth that changes from seafoam blue to pea green. 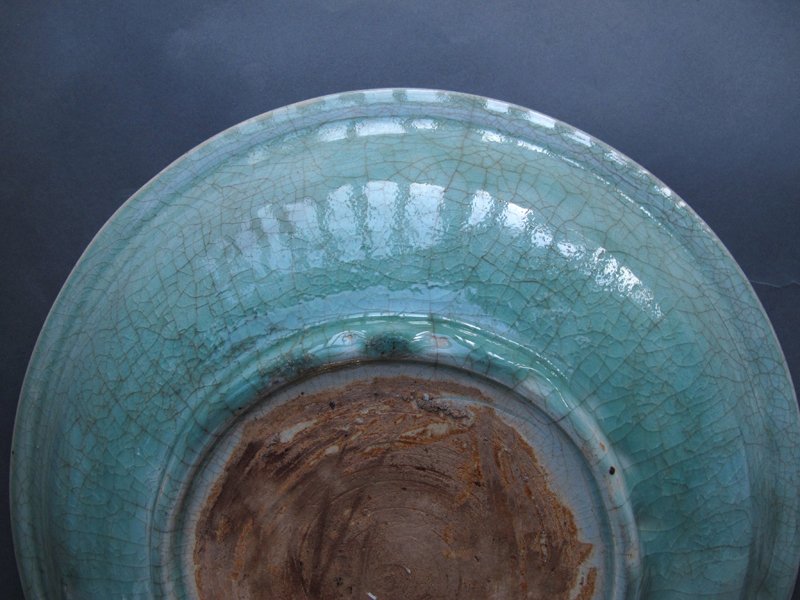 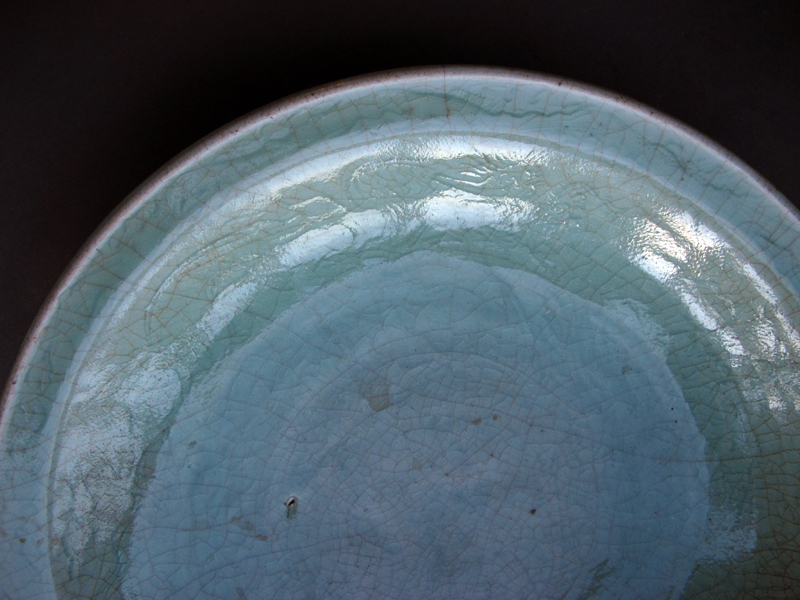 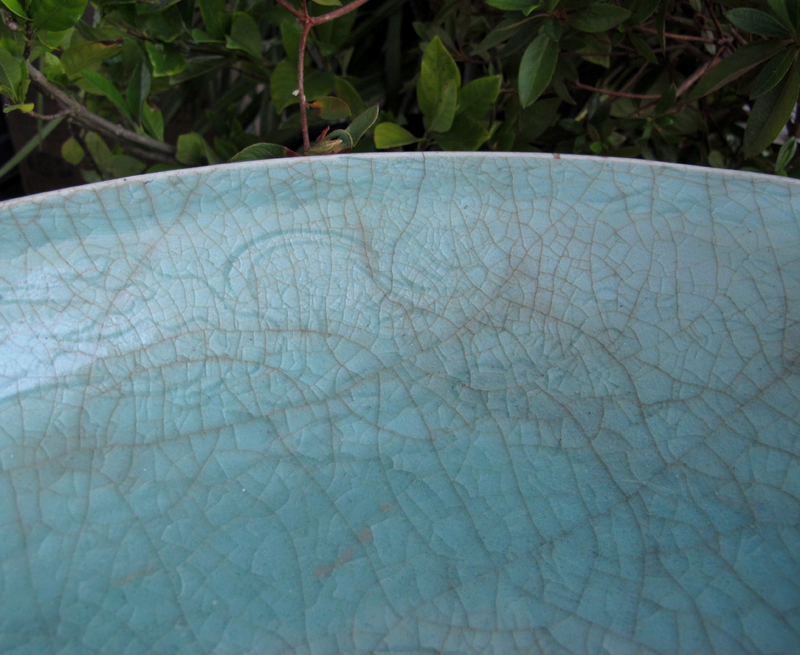 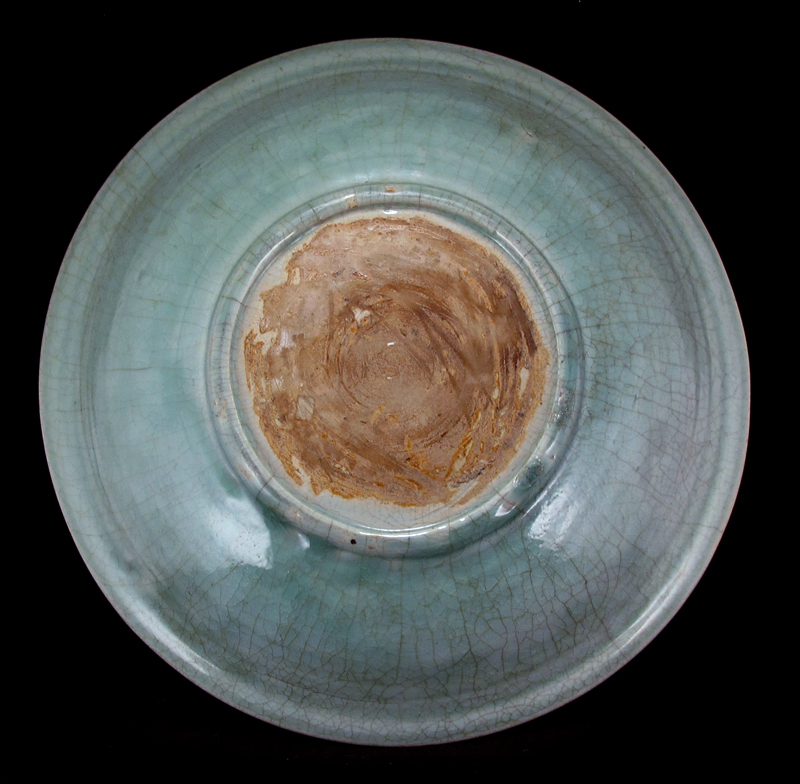 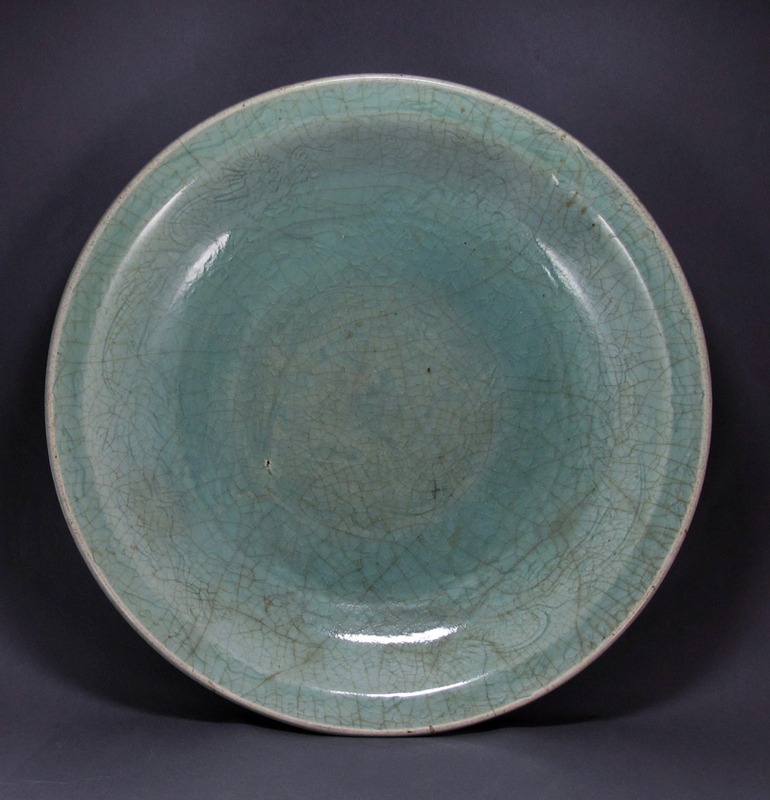 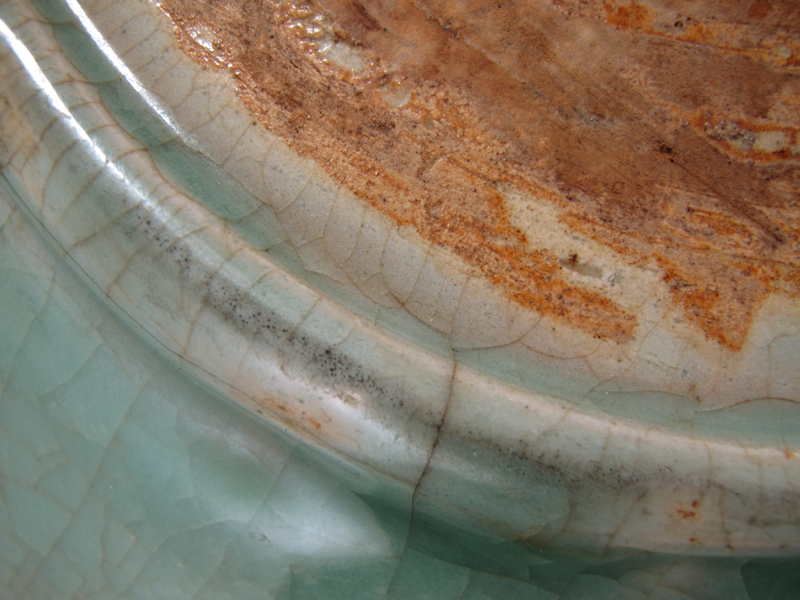 In terms of glaze color and crazing, this piece evokes Song dynasty celadons. 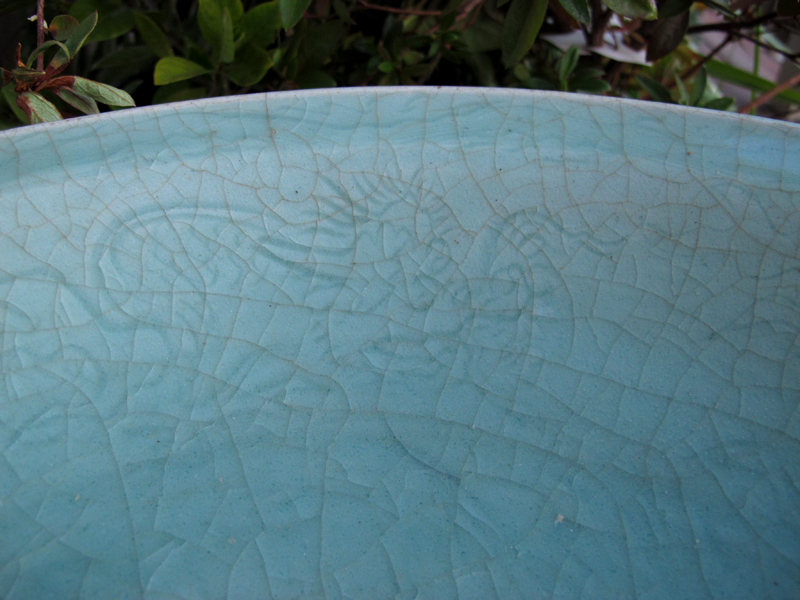 Notable are the various late Ming type dragons incised all over its body.